The best technical support and full windshield wiper blades installation instructions. Lowest price TJ windshield wiper blades guarantee and expert service. 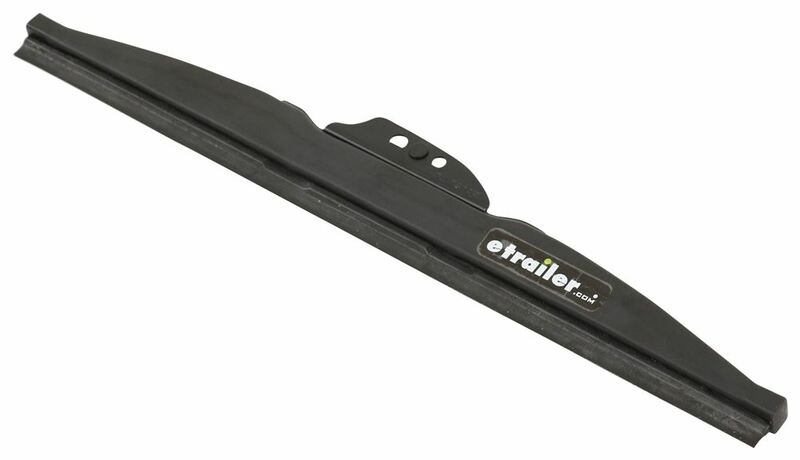 Jeep TJ, 2002 windshield wiper blades by ClearPlus are available from etrailer.com. 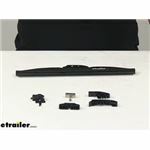 For expert service call 800-298-8924 to order your ClearPlus 76 Series HD Winter Windshield Wiper Blade - Frame Style - 13" - Qty 1 part number CP76131, or order online at etrailer.com. Winter windshield wiper blade with larger profile squeegee clears heavy snow and ice better than all-season blades. Heavy-duty frame covered with synthetic rubber boot reduces icing and snow blockage. Fits your vehicle's arm with adapter. 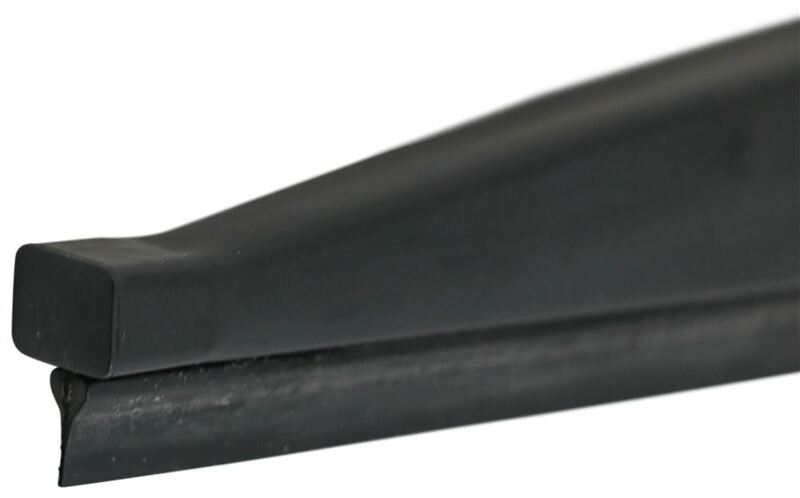 Today, we're gonna take a look at the ClearPlus 76 Series HD Winter Windshield Wiper Blade. This is going to be a frame style and it's going to measure 13 inches long and it comes as a quantity of one.This is going to be a great upgrade to your existing windshield wiper blades, especially for places that have a lot of snow and ice. During those winter months, it can often take a toll on our normal wiper blades that can't really handle that heavy snow and ice and might corrode more quickly with the road salt that we tend to encounter in those wintry months.These are going to be heavy-duty winter weather wiper blades. They're going to clear that heavy snow and ice better than just all-season blades, since they have a larger profile to more easily lift that heavy snow. As you can see, it also has this nice synthetic rubber boot. It's just a little rubber cover that goes around the entire wiper blade, so everything is going to be encased in this. It's going to keep it protected, so it's not going to have to come into contact with any of the road salts and then moisture that can rust it out prematurely.It's also going to help to reduce icing and snow blockage. Inside that rubber boot, the frame itself is going to be made of a heavy-duty steel, built for performance, not only for our snow, but also in all weather conditions.It has a high-grade, leading-edge technology, so it's going to use precision rubber slitting, for a uniform, streak-free wipe, which is always important, so you can see where you're going. You don't have to worry about it streaking out over time. It's also going to have a durable, large-profile rubber squeegee, with a coating that's going to ensure that it's going to be quiet and chatter-free, so it's not going to skip along your windshield. It's going to always give you that nice, smooth, clean wipe to your windshield.Installation is going to be quick and easy on most arms. It's going to come with a series of adapters. We're going to have several different pieces to go with that, for our different wiper styles. This is going to fit with narrow saddle, half-inch large hook, as well as 3/4 small hook, quarter-inch side pin, 3/16 pin, and bayonet style.Again, this is going to be 13 inches long. As as you can see, it's going to be right at 13 inches. The 13 is cut off on my ruler there, but that's the length. It is going to be a direct replacement for TRICO 66-130 and ANCO 53-13.And that's going to do it for our look at the ClearPlus 76 Series HD Winter Windshield Wiper Blade.